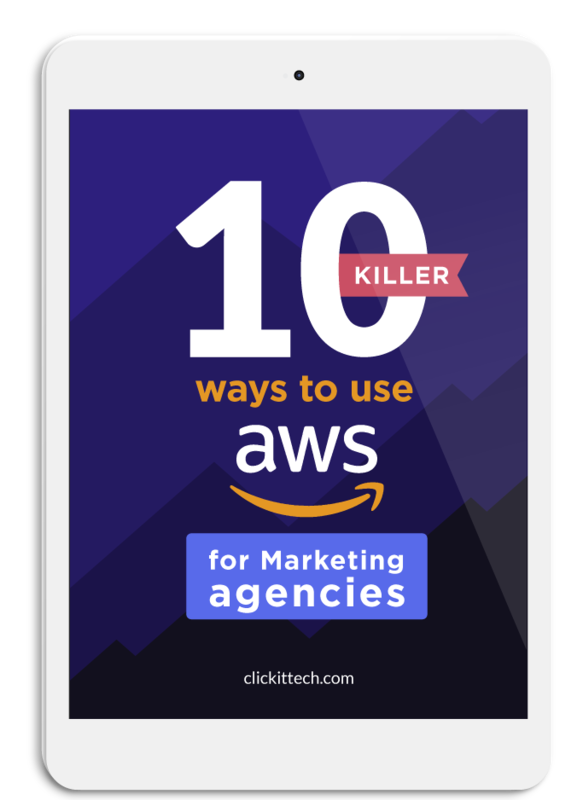 10 technical ways to use AWS for your marketing strategy. Bring a new level of flexibility and velocity on your digital campaign. Do you sometimes wonder if your digital marketing strategy is 100% performance-ready ? Do you feel like you do everything "right" - the traffic, the content, the user experience...but there are still technical issues? How Loading Time Impacts on Marketing Conversion Rate. How to increase your Google Page Speed score. TEN AWS Cloud scenarios for Digital Marketing agencies or any web agency. Improve your SEO rankings with AWS. Web hosting with High performance on AWS. Create landing pages and host them on AWS.